Learning to play the piano is a valuable skill for a child to have. If you’re a parent who’s considering training your kid on a musical instrument, let it be the piano. When it comes to music theory, you can never go wrong with keyboards and pianos. They teach children the basics like notes, chords, and octaves while cultivating a lifelong love of music. It’s easy for kids who started with a keyboard to move on to a different instrument later on. I will also answer some frequently asked questions. What is the right age for kids to learn piano? Should I get a full-size piano or not for my child? What is the correct amount of keys for a toddler to learn with? What’s best? Weighted keys or not? Read below for my guide to the best keyboards and pianos for kids! This is a jam-packed product that has everything you need in a beginner keyboard. This is not to say that advanced keyboardists wouldn’t enjoy it. It has enough to entertain users of all ages. It has 8 demo songs, record and playback buttons, 100 unique keyboard sounds and rhythms to play, and, for novices, it has a teaching mode to tell them the basics of keyboard playing. For something that looks like a professional keyboard, what makes this special is that it’s so easy to use. As a portable keyboard, it’s convenient to package and transport. Young kids can make use of the LCD screen to learn the correct keys and chords to play. It even has a free app that’s compatible with an iPad or Android tablet, which kids can place on the stand for note-reading. Although it’s beginner-friendly, it’s also not a toy so it’s not recommended for very young kids, but it’s perfect if you want to introduce your pre-school age child to the world of musical instruments. Piano mat comes with Record, Playback, Demo, Play, Adjustable Vol. The Play22 Keyboard Playmat is an excellent product that combines play and learning. It’s a working play mat that allows your child to step on it and play the piano. It’s considerably large so it can be used by more than one child. It’s not a simple toy though as it offers 24 piano keys and has recording and playback functionality. The volume can be adjusted to your liking, and there’s a demo mode for your kid to learn from. Interestingly, it can play other musical instruments; it can be your child’s guitar, drums, violin, xylophone, and 4 other instruments. Your child is guaranteed to light up when you give this to them as a holiday or birthday present. It’s great for toddlers and young kids and it’s durable enough to be used by adults so it’s perfect for the whole family! Includes: Schoenhut's patented Tri-Play Learning System and bench. Meets EN17, ASTM, and CPSIA standards. Intended for Ages 3 and up. The Schoenhut 30-Key Fancy Baby Grand is, as the name suggests, a fancy way of introducing your child to music. It comes in different colors, namely black, white, red, and pink. 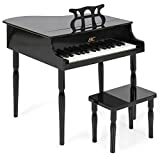 It also has a bench and a music rack to add to its “professional” look—perfect if you want your kid to take piano playing much more seriously than he would with a keyboard toy. It has a total of 30 keys, far from being a complete set but more than enough for a young child who’s just starting out. This piano has a color-coded chart and Schoenhut’s patented Tri-Play Learning System, which allows kids to play the piano by following color-coded keys. It’s also suitable if you want him to upgrade from a small keyboard to a baby grand piano as a form of reward. Because of its large size and the choking hazard posed by the small keys, this product is not suitable for children aged 3 years and below. Yamaha is a trusted name in the world of pianos and keyboards. 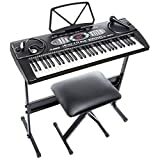 With this black bundle, you can be sure that you’ll get all the necessary trappings of learning to play the piano along with the tried and tested quality of Yamaha musical instruments. This digital piano has the complete 88 keys you need to make great music; plus, it’s designed with Yamaha’s very own GHS weighted action keyboard, which means that the keys are heavier in the low end and lighter in the opposite end. This lets your child get familiar with the feeling of an acoustic piano. Its 64-note polyphony technology captures simple as well as complex songs without cutting off dropped notes. When you buy the bundle, you’ll also get the Yamaha L-85 stand, a piano bench, a music stand, a pedal, a polishing cloth, and an instructional DVD and book. It really is one of the best keyboards and pianos for kids, especially those who are beginners and intermediate players alike. If you want to start your child with this one, you won’t be needing an upgrade for quite some time. If you want the best beginner keyboard for your kid without breaking the bank, then this is the one. 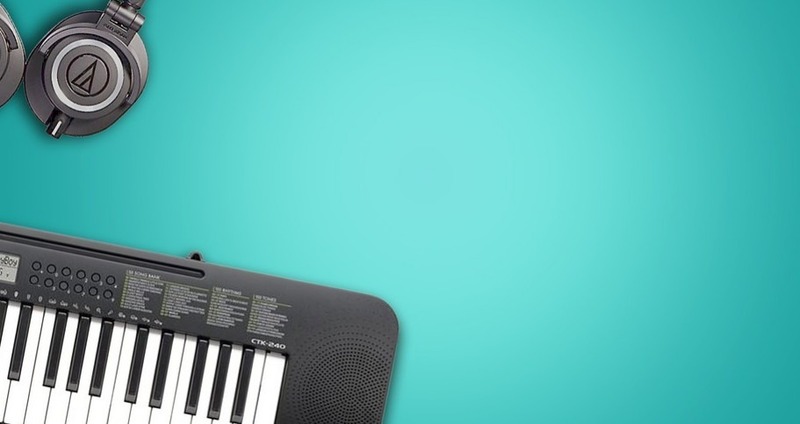 The Casio SA76 features 44 mini-sized keys that can play up to 100 sounds and 50 rhythmic patterns. It has an LCD display where your child can read the keyboard’s 10 integrated songs. Its LSI sound source and 8-note polyphony sound system ensures that it produces good sound. You’ll actually want to listen to your child play. Another unique feature is the 5 percussion buttons that your child can use to play with drum sounds and other instruments. The buttons can be used simultaneously with the piano sounds so your young one can progress from learning musical notes to making music. The Click N’ Play 24-Key Keyboard Play Mat is a jumbo-sized keyboard dance mat that your child can play with. 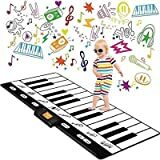 With dimensions of 70 x 29 inches, this is a gigantic play mat that can teach your kids not just piano sounds but other instruments like guitar, violin, and saxophone as well. They don’t just get to play songs, they can also record their own compositions and play them back. The keys are touch sensitive so they don’t really need to stomp on it to make a sound. It has adjustable volume and it automatically shuts down to save batteries. Similar to Play22’s Keyboard Playmat, this keyboard mat is perfect not just for kids but for the whole family too. It can easily be the centerpiece of your family’s entertainment room. It’s best used by kids 3 years and up. For parents looking for a toy keyboard with a super cute design, the B. Meowsic Keyboard might be what you want. Its cat design is a sure hit to toddlers and pre-schoolers who get to enjoy 20 fun songs like ‘Bingo’ and ‘Yankee Doodle’ along with 7 bonus cat tunes (have you heard of ‘How Much is that Kitty in the Window?). 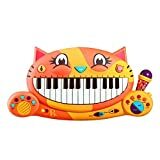 Plus, it’s not exclusive to piano sounds; it has the sounds of an organ, banjo, and bell as well as its very own ‘meow’ keys so your baby can make her own kitty tunes using the keyboard’s record and playback features. It also has a retractable microphone that’s perfect for singing along the catchy tunes. This is great if you want to introduce your child to the fun side of music before letting them take formal lessons. You can buy this for children as young as 2 years old. The Casio SA46 is another excellent beginner keyboard if you want to start teaching your kids early on. With this bundle, you’ll get a copy of John Thompson’s piano course book in addition to letter stickers that will guide a young learner’s fingers to the correct keys. Learning to play the piano has been made easier with this keyboard. Admittedly, it only has 32 keys, but this is a good place to start when training a child. The bundle also includes a power supply adapter so you don’t have to buy one. 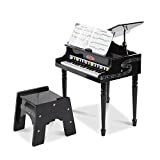 It only weighs 3 pounds so it’s pretty easy to transport to any part of the house or to your child’s piano recital when the time comes that he’s ready to share his music. This is great for young children aged 4 and above who can potentially understand notes. For young children, it’s important to give something that catches their attention visually. This is why this colorful piano from Melissa & Doug is the perfect choice for babies and toddlers. It has the feel and look of a traditional piano but everything else is customized to a young child’s needs. For one, it’s packaged with a color-coded songbook that will teach your young one the concepts of high and low notes and loud and soft sounds. It will also help her learn 9 kid-friendly songs. The piano itself has 25 keys and 2 full octaves so it offers more range than some other toy keyboards. It’s constructed with solid wood and looks pretty sturdy for all the key-smashing your kid might do. Because of its small size, it’s recommended for kids aged 3-5 years old or for babies who spend most of their time sitting or playing on the floor. The aPerfectLife 37-Key Multi-Function Electronic Kids Keyboard is a budget-friendly chargeable keyboard for kids. It has 37 keys which allow kids to learn more complicated songs than they could in other toy keyboards. It can also play 16 different instruments and 16 different musical styles. It has built-in 8 demo songs and a record and playback feature. It has a rechargeable lithium-ion battery which means fewer maintenance costs than battery-powered keyboards. It has a microphone so naturally it has an audio input jack that can also accommodate headphones, which is ideal if you don’t want noise in the house. It can be connected to a phone, MP3, or iPad. 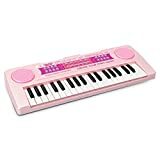 This keyboard is great for older children like those in their pre-teens, especially young girls who like pink. Give this to your kid if you want them to start with something that looks and feels like the real thing but still as fun as a toy keyboard. The Alesis Melody 61-Key Portable Keyboard is a beginner keyboard with which your kid can take formal lessons. You can buy it in a beginner bundle that has all the basic things he needs: a keyboard stand, an adjustable bench, a microphone, and free headphones. It has 61 compact lightweight keys that are easier to play for children. Your young learner can experiment with up to 200 unique sounds and 128 rhythms and 10 demo songs. Plus, it has 3 instruction modes to choose from: “one-key” mode for learning the rhythm, “follow” mode to learn melodies, and “ensemble” mode to combine the sounds and produce a song. This is great for school-age children who are serious about learning to play the piano but don’t mind starting with a simpler instrument. The Best Choice Products 30-Key Baby Grand Piano is a toddler-friendly piano with an impressive design. It has the look of a grand piano shrunk into a miniature size, complete with a cute bench and a sheet holder. It has a hardwood body and glossy finish that add to its classic look. There are three color options: white, black, and pink. It’s recommended for children aged 1 to 5. It’s perfect for parents who want to spark their child’s musical talent at an early age. 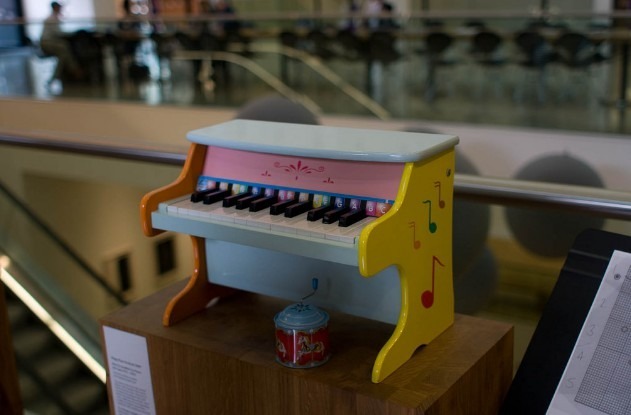 Just remember that this is a toy piano so it cannot be accurately used to teach them musical notes. For parents who want a more technically competent beginner keyboard, the Yamaha Piaggero NP12 Portable Keyboard is a great choice. This is part of Yamaha’s Piaggero NP series which feature light and compact keyboards with the purest of tones. They are simplicity and elegance combined. It features 61 soft-touch semi-weighted keys that can play with 10 voices, 64-note polyphony, a built-in stereo speaker system, and a fitted metronome for your child to practice his rhythm. Another neat feature is its ability to connect to Apple products to make it easier to access lessons and instructional apps. Given Yamaha’s reputation for premium keyboard quality, you can be confident that this is a beginner keyboard that your kid can use well beyond his beginner years. It’s perfect for older children who are serious about taking his piano lessons to the next level. Melissa & Doug’s Learn-to-Play 30-Key Classic Grand Piano is another mini grand piano specially designed for kids. 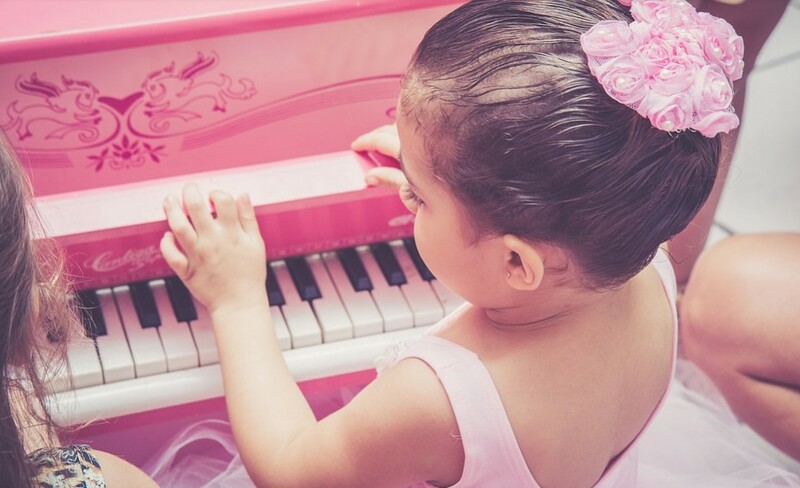 Its hand-tuned 30 keys are perfect for introducing your child to the feel of a real grand piano. It’s complete with a non-tip bench, a back top that lifts like the real thing, and a sheet stand for its complimentary songbook and color-coded key chart. Designed with safety in mind, the wooden body of this piano doesn’t easily break and it has a safety hinge for the lifting back top so it won’t close on your child’s hands. Its elegant, life-like design makes it easier for your child to transition from a toy to an actual keyboard later on. You can even hire an instructor to teach her proper posture and other best practices. The ONE Smart Piano Keyboard has an attractive minimalist design that you and your kids will like. It comes in 3 different colors: black, golden-white, and sakura pink. Except for its two speakers and music stand, it doesn’t have the usual buttons on top. It’s also one of those keyboards that are great for self-study. It features 61 keys that each has a LED bulb inside that lights up so your child can easily follow any song. Its iOS and Android connectivity make it easy for you to attach your phone or iPad to download its free “The ONE” app. This app has a crash course for your child to learn how to play the piano and even a fun gaming mode where your child can learn while beating his own score. This is ideal for kids who are 7 years old and above or at an age where he’s mature enough to follow directions and learn on his own. If you’re thinking of buying an all-in-one keyboard that can teach your kid in a fun way, this is one option to choose from. Acoustic Pianos are among the most expensive pianos. By their very name, they are made with strings and real wood, which produce a range of sound that’s pretty hard to duplicate elsewhere. A good quality acoustic upright piano usually costs anywhere from $4,000 to $9,000. If your dream piano is a grand piano or a baby grand, get ready to pay more than $10,000 with certain brands going as high as $150,000. This is the end-goal of all those piano lessons. If your child can play an acoustic piano, he can play anything. If you think $10,000 is too much, you can always try to rent the piano for a certain amount of time or buy a second-hand one. The sooner a beginning student plays on an acoustic piano, the better it is for his learning experience. Digital pianos are made to feel like acoustic pianos but to a lesser degree. Admittedly, it’s almost impossible to imitate the kind of sound that acoustic pianos produce, but digital pianos have enough craftsmanship and attention to detail to get as close to the real thing as possible. They usually have weighted keys that resemble the keys of a grand piano or an acoustic upright. This helps your child get used to the kind of resistance that acoustic piano keys possess. Your kid can also learn to be sensitive to the differences in levels of loudness and softness that the piano can make. Digital pianos are also way less expensive than acoustics. They ring up somewhere between $1,000 and $2,000. They are a very good place to start if you want your child to learn how to play the piano more accurately. For parents on a budget, electronic keyboards may be the way to go. Instead of simulating an acoustic piano as a digital piano would, this type of piano acts as a synthesizer. Piano sounds are just one of several instruments that most keyboards can imitate. They usually contain pre-recorded tracks too. Beginners will not necessarily miss out on important lessons. In fact, this is where most learners start before moving on to a digital or acoustic piano. What every parent should remember when it comes to electronic keyboards is this: more keys, merrier sounds. If you can find a keyboard with 88 weighted keys, you’re off to a really good start. (In my list, Yamaha P-45 has 88 keys). Your child will learn a range of sounds and build his hand strength in a way that prepares him for an acoustic piano. Even if it’s not 88 keys, it’s still better to find the most number of keys within your price range. Quality electronic keyboards usually range between $80 and $250. Sometimes, pianos and keyboards are too expensive to be played with, which is what usually happens when a child is just starting to learn. This is why it’s perfect to introduce your baby or toddler to toy pianos and keyboards. These are usually made of plastic and come in different colors. Because they are made for children, do not expect them to sound as good as actual keyboards. The keys mostly sound the same, but young kids really love these gifts. The point in buying them a toy keyboard is to get them excited about playing the piano. It gives them some sense of the kind of hand coordination needed when using piano keys. Basically, it simply sparks an early love of pianos and music in general. If you dream of making a prodigy out of your little one, then it’s probably a good idea to start them young with a top-quality toy keyboard before moving on to electronic keyboards. Later, you can upgrade to a digital piano. Most parents stop there, but if money is not an issue, then buying an acoustic piano wouldn’t hurt your child’s musical promise either. 1. The piano is universal. Playing the piano allows a musician to move from one genre to another. Your child may be interested in classical or ballads at the beginning and move on to pop and rock later without adjusting so much. Also, the same musical concepts used in piano-playing are used in other instruments like guitars. It’s no wonder that many composers use the piano to make arrangements for their songs. Many say that learning the piano makes it easier to learn other musical instruments. 2. The piano relatively easy to play. Unlike stringed instruments like guitars and percussions like drums, playing the piano doesn’t hurt the hands of young kids as much. It’s easier, and even enjoyable, for a child to press on piano keys than hit something with sticks or strum guitar strings. 3. Playing the piano improves a child’s IQ. 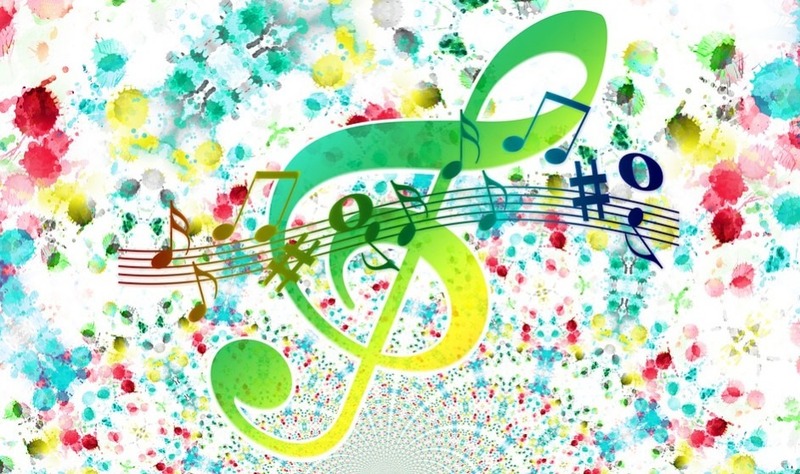 A Canadian study found that training in music improves children’s mathematical ability, spatial intelligence, and other cognitive skills. 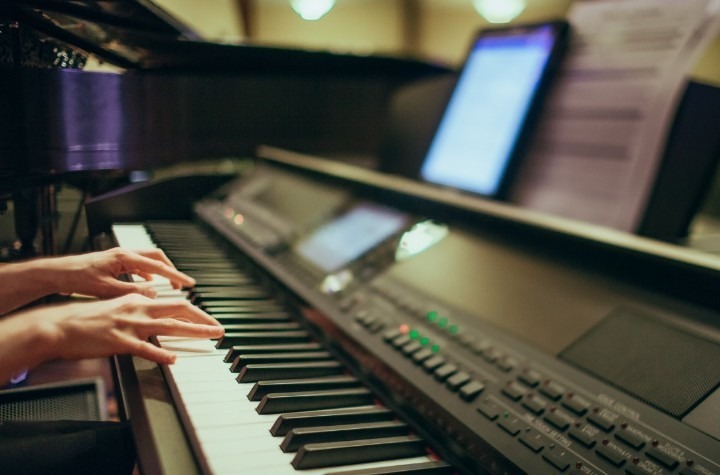 Particularly, playing the piano improves the individual’s hand and eye coordination, which is useful for non-music activities like typing on a keyboard and playing sports. 4. It also builds up a child’s confidence. Learning to play a musical instrument teaches children about the importance of receiving feedback and improving in the process. Knowing that they can make mistakes and still learn gives children permission to experiment and become better. 5. It relieves stress from their daily activities. It’s no secret that school life can be demanding for children of this generation. In addition, they may be juggling extracurricular activities that may be causing them some form of stress on a daily basis. Playing the piano helps release any tension or anxiety they may have and allows them to do something productive in exchange. 6. It increases their potential as musicians. 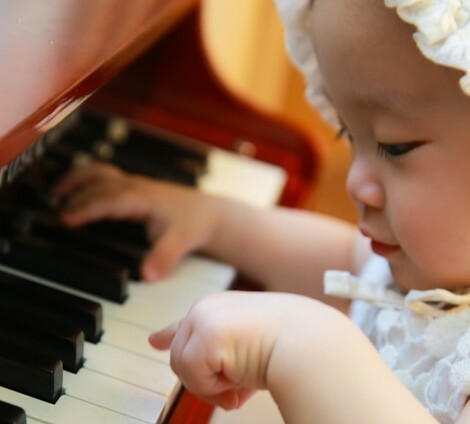 Starting piano lessons early in life paves the way for their future as musicians. The earlier they start, the more skilled they become. Even if they don’t turn out to be stage performers, they can become composers, conductors, or teachers of music. These are just a few of the many benefits of learning to play the piano. If you’re still not convinced, try to find a parent who has a piano-playing child. Talk to them about the upside of buying their kid a keyboard. They most likely have a lot of good things to say about it. As you’ve seen so far, there are many keyboard and piano options available to parents. Choosing the right one is just as important as the lessons your child will have with that piano. A good beginner keyboard could either inspire your child to learn music or to hate it forever. 1. Consider your budget and space. These two are among the first things to consider. You have to set a price range that you’re willing to spend on your kid’s first keyboard. You don’t always have to buy the most expensive to get the best quality. As I’ll describe later, there are certain features to look at. Second is the space. Do you really want a grand piano that may take up half the living room? Or do you only have a corner to spare for a miniature toy keyboard? Pianos come in many different shapes and sizes. Think about the kind you want to see in your home. When your kids are just starting out, there are a plethora of piano functions that they know not how to use. It may be a good idea to buy a keyboard or piano that’s designed simply and doesn’t have very complicated buttons all over it. For instance, you don’t really need 300 generic demo songs. What you’re looking for are more important features like a metronome, quality instrumental sounds, and touch-sensitive keys, to name a few. You might not find them all in one device; in that case, you’ll have to prioritize—beginners are okay without a metronome but not without comfortable keys. 3. Think about the sound quality you want. This largely depends on the learner’s age. Babies and toddlers don’t care about the sound as much as they do about the look and feel of the keyboards. This is why toy keyboards sound nothing like actual keyboards and pianos. If your young one is more serious about learning to play, then it’s important to choose something with better sound quality. The best possible sound is, of course, that of an acoustic piano. If not that one, choose something that resembles the music of an acoustic piano as close as possible. That is either a digital piano or an electronic keyboard. 4. Is there instructional material available? Most keyboard bundles come with built-in lessons and instructional books. Some are even equipped with apps or have the ability to connect to communication devices. Check if there’s any kind of piano lessons included with your keyboard. This is very useful for self-study. These books can teach your child the basics and then later on you can introduce him to a teacher for more guided practice. In both cases, having references doesn’t hurt. 5. Does it have both headphones and speakers? You’ll thank me later, but your child should have the option to listen to his music without disturbing the entire household. Even if the keyboard doesn’t come with headphones, there should be an audio input jack for them. On the other hand, you’ll want to listen to his progress every now and then so working speakers should be part of the keyboard’s components. 6. How about other accessories? It’s a nifty package if the keyboard also comes with peripheries that make music-making a little better. Most keyboard bundles have a bench and stand, but make sure that they don’t crumble under the weight of a portable keyboard or that of your child. It’s also nice if there’s a piano bag or case available to make transport easier. More contemporary keyboards also offer iOS and Android connectivity, which allows you to connect to a smartphone, tablet, and computer. A beginning student will be able to download free apps, lessons, and tools to further improve their skills. The bottom line is the more complete the accessories the better, but these should be essentials and not extra nubs and buttons that make things look more complicated than they are. Even with the right keyboard, there might be some hurdles to your child’s full enjoyment of playing the piano. As parents, we need to cultivate our children’s interest in music to ensure that it doesn’t fizzle out after a week or two. Here are some tips that you can follow. 1. Choose the best location. It might seem logical to place the keyboard in a quiet corner in the room, thinking that your child could focus more. For a beginner, this is a recipe for failure. Putting them in a quiet corner isolates them from others and results in boredom. Your child might just choose to leave the piano and go to the other room where the toys are. It’s best to put the piano in a common room that has some level of activity but not too busy. It shouldn’t be in the same room as the TV or desktop. This should be a place where you and your child can bond over the piano. 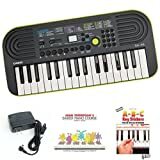 This may be taken for granted in view of portable keyboards, but you’ll need it whenever your kid is practicing his music. You don’t want him to stoop or strain his wrists by using a chair or table that isn’t level with him. You might have to purchase a stand if it’s not included in your chosen keyboard bundle. 3. If possible, buy a keyboard with weighted or semi-weighted keys. This builds better hand and finger strength in your little Beethoven than plastic keys. This makes it easier for him to change to an acoustic piano eventually. 4. Regularly tune an acoustic piano. There’s nothing like a beautiful piano that sounds terrible to demotivate a young learner. Regularly check if the keys of your acoustic piano are in tune. This way, your student wouldn’t feel like he’s doing something wrong when really it’s the piano’s problem. 5. Label the piano keys. This is especially useful for complete beginners. You can prepare some cutouts of music notes and label each corresponding piano key. This makes it easier to remember notes and follow charts. Some keyboards designed for kids have stickers. For this purpose, lighted keys are not enough. The child has to know which key is A, C, etc. 1. What is the right age for kids to learn the piano? For an introduction to pianos, the younger the better. For formal lessons, age 6 is the most recommended. 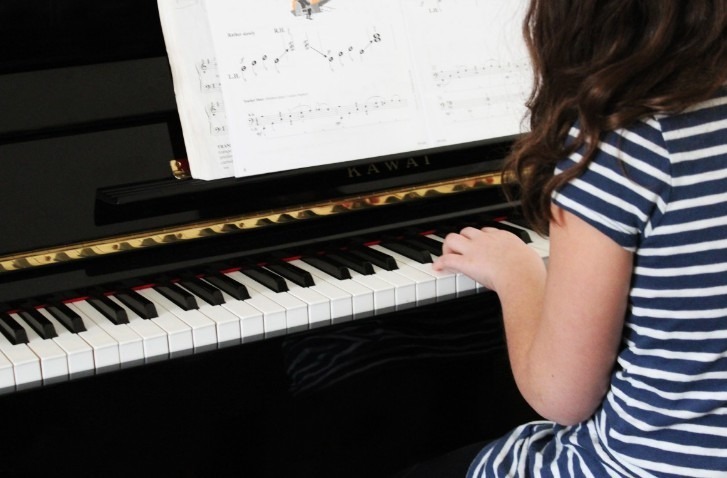 While it’s true that some kids as young as four have excelled in music before, they may not, in general, have the attention span required by a piano lesson. It’s best to buy an advanced keyboard or hire a music teacher when your child reaches 6 years old. By then, they’ve entered school and have some clear sense of adult direction. It will be easier to teach them by this time. But when it comes to playing with pianos, particularly toy keyboards, they can do it way before preschool. It’s up to you when that will be but it’s ideal to introduce the piano, or any musical instrument for that matter, before they step into formal school. 2. Should I get a full-size piano or not for my child? If you’re planning to give formal lessons to your child, the more keys the better. Full-size pianos like acoustics, digitals, and electronics have more keys than toy keyboards so your child can train with the best. But if you’re starting your child very young, it might not be a good idea to have a toddler practice with a grand piano. In this case, small, toy-like keyboards that have 25 to 35 keys are better suited for playful learning. 3. What is the correct amount of keys for a toddler to learn with? Same as the answer for number 2. Your toddler can play with toy keyboards that have 25 keys or lower. Sound quality is not an issue at this stage. 4. What’s best? Weighted keys or not? Weighted is best. However, not all kids grow accustomed to them. Beginners, in particular, might find it tedious to have to press harder to produce each note. This is true of acoustic pianos, which have touch-sensitive keys that grow louder when pressed harder and softer when lightly touched. It might be better to start with an electronic keyboard with less touch sensitivity, which also means they’re easier to get used to. Semi-weighted keys are perfect for transitioning to fully weighted later. 5. 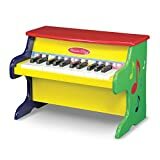 Which kids’ piano do I buy? Acoustic, digital, or electronic? This largely depends on your family’s needs. As a rule, acoustic pianos are the best. They have the best sound and they are simply the standard among pianos. Unfortunately, they are also the most expensive. The good news is you don’t really need to buy a concert hall acoustic piano for your kid to become the best musician he can be. Even a good digital piano or electronic keyboard can do it. In fact, many kids and teens nowadays prefer electrical keyboards because of its function as a synthesizer as well as its ability to connect to electronic devices. If I were to recommend one piano, it would be the digital piano. It has the best of both worlds. It’s designed to imitate an acoustic piano but it also has the capabilities of electronic keyboards. 6. How different is learning to play the piano from learning to play the keyboard? Pianos have more keys than keyboards. They also have richer sounds, but they are also huge and costly to buy. Playing the piano is definitely a better experience as a musician. Keyboards, on the other hand, are becoming more advanced as the days go by. Playing them may not feel as smooth or sophisticated as pianos, but they’re the more practical choice. Plus, I wouldn’t be surprised if they become increasingly similar to pianos in the future. As you can see, there are a lot of things to consider when deciding on the best beginner keyboard for your child. It’s often necessary to comb through not just the descriptions of the instruments but to study what real-life customers have been saying about each product. It’s normal to get overwhelmed especially if this is your first time piano shopping. This is why it’s crucial to check reviews first and foremost before narrowing it down to a specific piano or keyboard. Remember that what you want for your child may not exactly be suitable for his tastes or skills. Although discipline is a big part of learning a new skill, try not to lose sight of your original reason for wanting to buy your child the piano—that is, you want to inspire them to create music and begin a life-long love affair with music. Hopefully, this list of the best keyboards and pianos for kids will help you decide on the right instrument for your kid. It feels almost as if we’re part of your child’s musical journey. Mundell, E.J. “Sorry, Kids, Piano Lessons Make You Smarter.” Forbes. Last modified July 15, 2004. https://www.forbes.com/2004/07/15/cx_0715health.html#700e48353bd9.